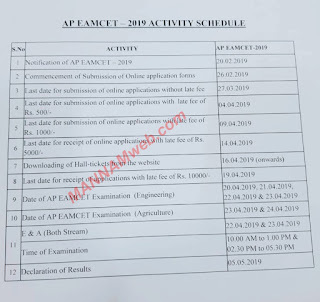 AP EAMCET 2019 activity schedule released by Eamcet convener Sai Baba, today in Vijayawada. The exam notification will be out on February 20 and submission of online applications will begin from February 26, according to the schedule. The last date for submission of applications is March 27, 2019, and the deadline for application submission with a late fee of Rs 500 is on April 4, 2019. Candidates can download hall tickets from the official website from April 16, 2019, onwards. 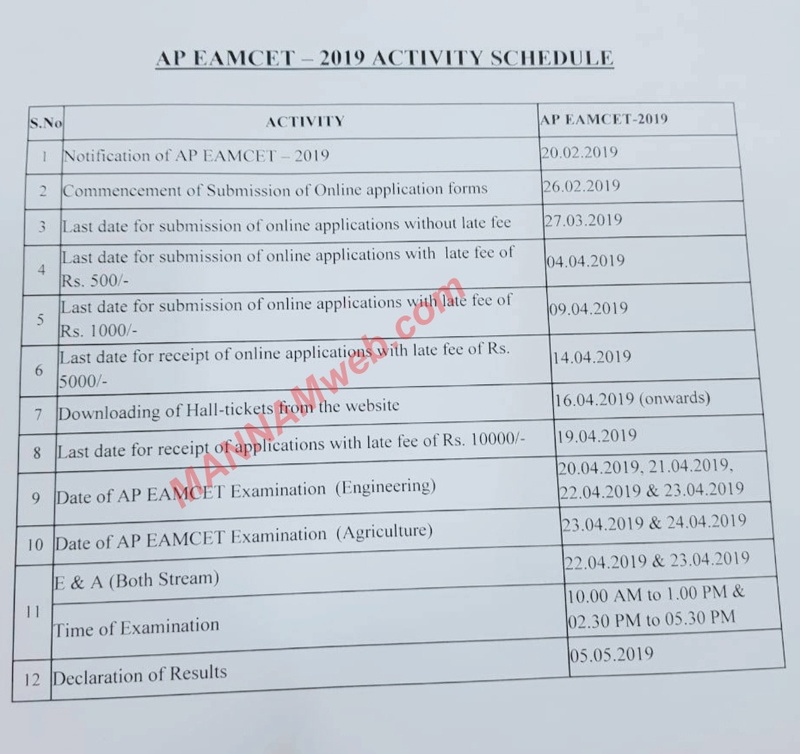 The last date for submission of AP EAMCET 2019 application with a late fee of Rs 10,000 is on April 19, 2019.